Syedna Khuzaima Qutbuddin TUS presided over Pehli Tarikh Majlis of Shehrullah in Darus Sakina. Mumineen got sharaf of qadambosi and began the Mubarak month with the deedar of Syedna TUS, who in the time of seclusion of the Imam is the one referred to in Rasulullah’s SA Hadith, “do roza by seeing (and following) him and do iftaar by seeing (and following) him” (sumu li ru’yatihi wa aftiru li ru’yatihi). The pronoun in this Hadith referred to Amirul Mumineen Maulana Ali SA when Rasulullah said it. Our Hudaat Kiraam have contended that in each day an age a successor to Rasulullah SA and Amirul Mumineen SA must exist whom mumineen can follow and begin the rozas of Shehrullah and complete the 30 rozas (the iddah) with. 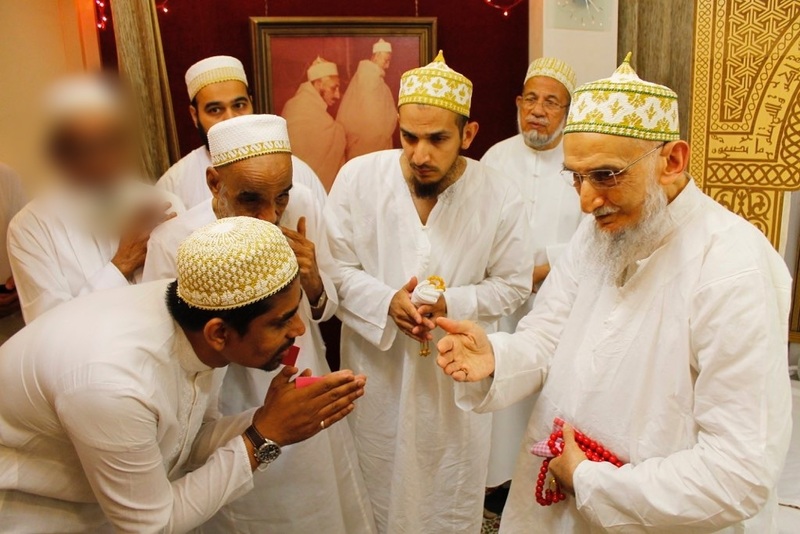 We are fortunate that during the Imam’s seclusion, in this day and age, we began our rozas by seeing and following the lead of the Imam’s Dai, Syedna Qutbuddin TUS. May Allah Ta’ala grant us the strength to complete the 30 days roza and celebrating Eid, once again seeing and following the Imam’s Dai. Photos of the Pehli Tarikh Majlis and of Syedna leading Namaaz in Darus Sakina (Fajr, Zohor/Asar & Maghrib/Isha) are presented on Fatemidawat.com.